Customer Relationship Management (CRM), empowers you to manage every single touchpoint you have with your customers. It offers you a realm of selling opportunities. Today, this strategy is well integrated with social media to leverage more effective and collaborative interactions with a broader customer community. 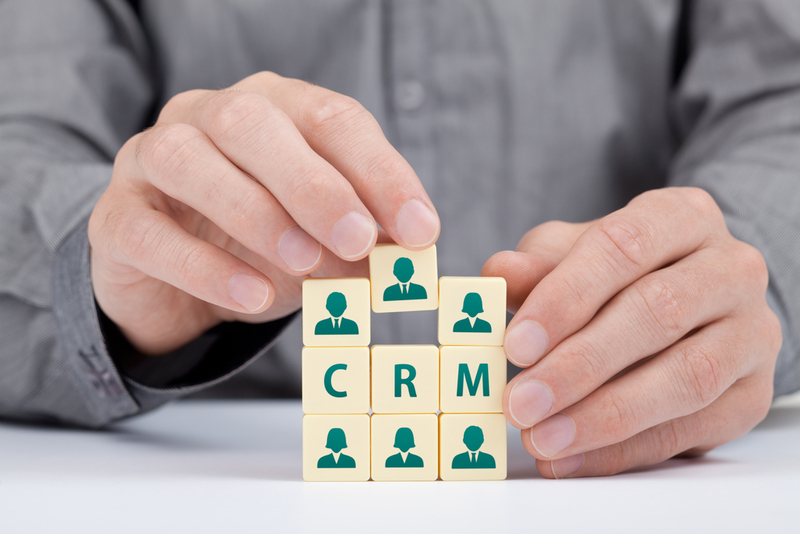 Earlier, CRM used to focus on traditional methods of communication such as email, phone call, meetings and more. However, as recent as a few years, social media has positively introduced a paradigm shift in traditional CRM. Today, Social Customer Relationship Management (SCRM) has taken the forefront to progressively meet expectations and demands of the changing customer who learn about products & services and consume information in a different way- through social channels. SCRM helps you to powerfully connect with such audience on various social platforms including Twitter, Facebook, YouTube and more, significantly establishing your presence where your customers are. Today, organisations of all shapes and sizes increasingly harness the power of social communications in CRM to efficiently reach customers through different routes at a rapid pace.However, to diligently achieve benefits of this technological strategy in business trajectory, it is crucial to first learn the art to safeguard social CRM success. Mentioned below are a few such methodologies/ techniques which would certainly aid you in this endeavour. Through feeds and streams, social CRM easily monitors where and in what context your company was mentioned across social platforms. It is imperative to track what your customers are saying about your product and service, instead of just their communications with you. Such information gives you a better understanding of their likes and dislikes and alongside, helps you design, alter and customise your products/ services according to customers’ preference. At times, this information can also open doors to new prospects. An example of how one can better build relationships using social CRM tools out here can be witnessed in the form of customer intelligence that you can gain which will help sales executives build a rapport with their customers as well as their potential clients. This serves as a brilliant strategy for sales professionals who often lose out on retaining clients largely because they fail to harness a healthy relationship with them. Since time immemorial, quick response to a query has been the key to build trust and satisfaction in a customer. Today, with the turn of technology, CRM offers an opportunity to interact and respond to such queries on real- time basis. This has efficiently doubled your chance to exceed customer expectation. Alongside, it adds a human face to the conversation, making it more genuine instead of an automated service. You should strongly recommend and guide your customer- service team to respond in- time to speedily close open- loops. In case, of an un-happy customer or who require extra attention, teams can take the conversation offline via email or phone. With such massive number of people using internet, it can often be daunting to personally reply to each query that comes through social media. Therefore, it is vital for organisations to build a specific FAQ page that can answer basic and common questions in an effortlessly readable, pointer format. This strategy provides useful information about the company, products and services apart from regular description and thereby, saves a lot of time. Identify your audience and wisely spent time with them on social platforms. Besides, this, do not engage with customers whose intent is to publicly defame your brand. You may take up such conversations separately offline. An example of this would be in the case of email marketing where one would not want to send important information to irrelevant set of people. This is where a social CRM, with the right pool of business contacts and filtering options as per their industry requirement would help. Negative customers have the ability post negative comments. Do not waste your time churning out their post/ conversations. Deleting a customer’s post will make them even more irate and will indeed sabotage the relation. The best way to avoid such odds is to elude getting into such dodgy conversations with customers especially on a public forum. Getting closer to customers is a top priority for business leaders. Integrating the above strategies in your business model will positively help you to achieve this goal. Today, benefits of your social efforts primarily depends upon how creatively do you build strategies and techniques to safeguard the success of Social CRM.